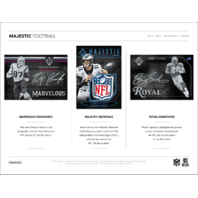 Included are dazzling team logo and super prime patch autograph cards of the future stars in the NFL. 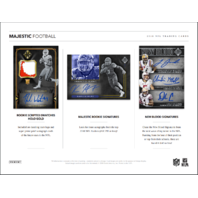 Look for more autographs from the top 2018 NFL Rookies (#’d /299 or less)! 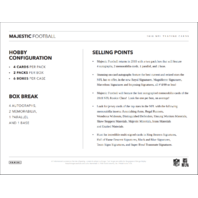 Chase the New Blood Signatures from the next wave of top talent in the NFL. Ranking from the best of their position or top from their schools, these are found #’d/49 or less! 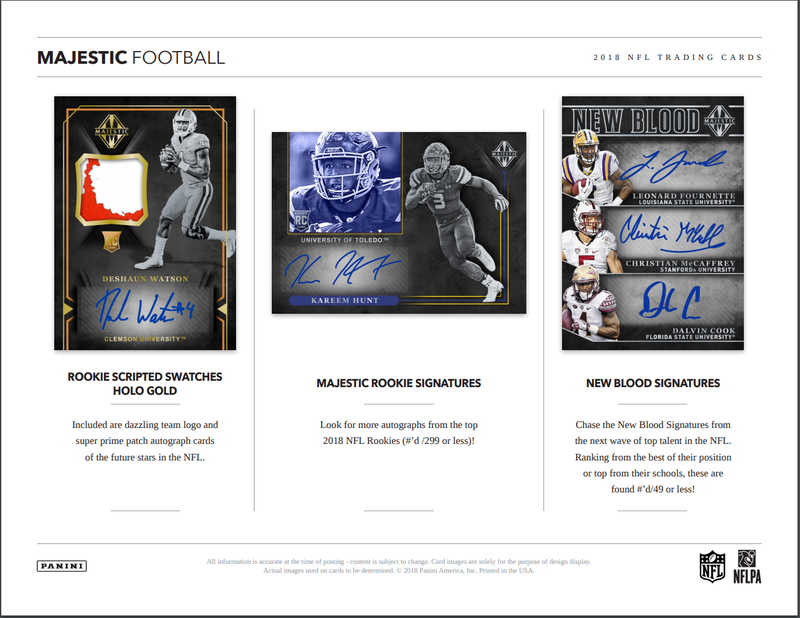 This insert features bold on-card autographs from the best receivers in NFL history (#’d to 99 or less)! 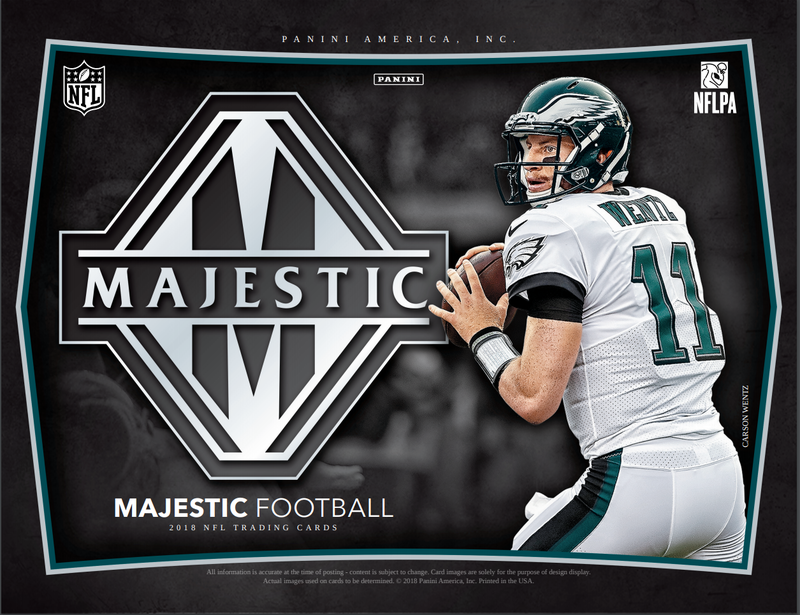 Search for the new Majestic Materials which features a patch version (#’d/5), gold parallels with brand logos (#’d/2), and platinum one-of-one NFL Shield parallels! 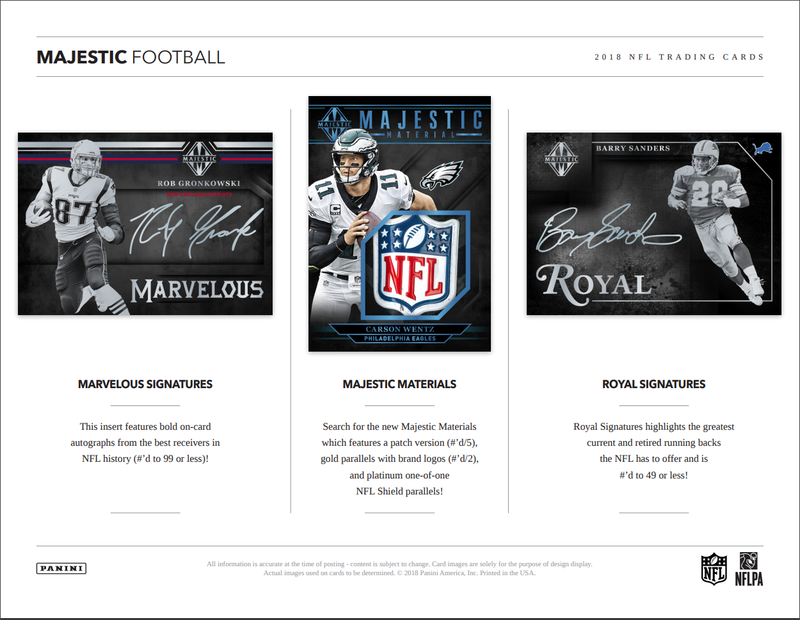 Royal Signatures highlights the greatest current and retired running backs the NFL has to offer and is #’d to 49 or less! The greatest players on some of the best teams in NFL history are highlighted in Super Bowl Teammate Signatures. 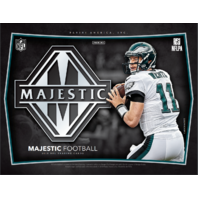 New to Majestic, Find Majestic Tier Signatures featuring a 100 card autograph set from the past and present stars of the NFL. 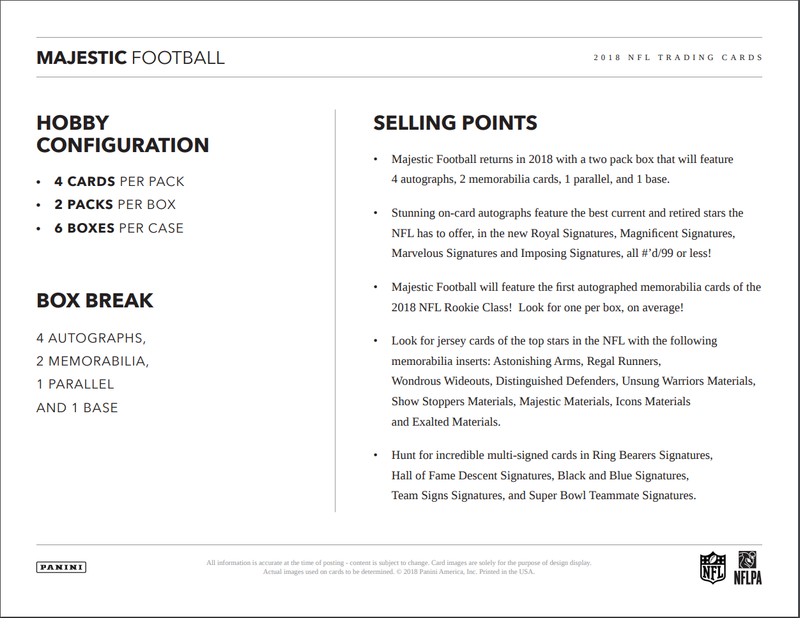 Find Tier 1 Signatures (#’d/99 or less) down to Tier 4 Signatures (#’d/5 or less) to chase the entire set! 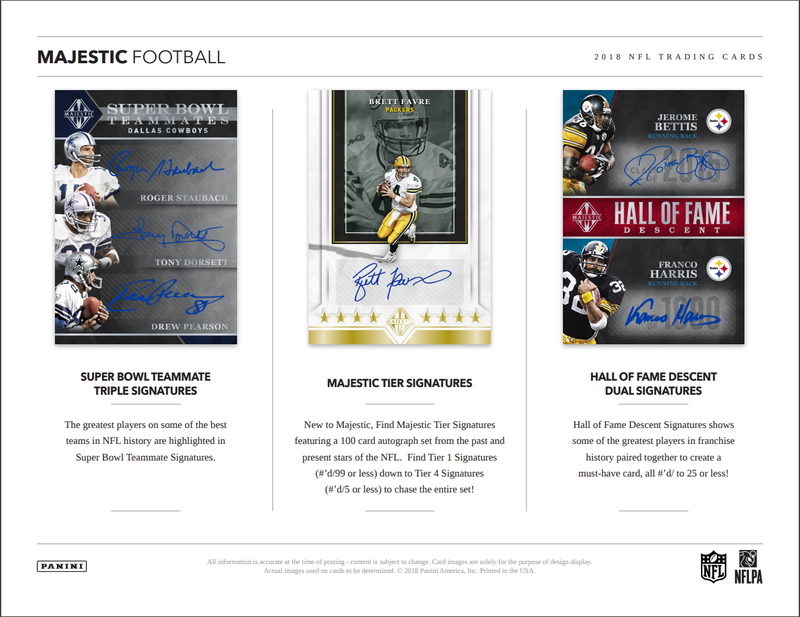 Hall of Fame Descent Signatures shows some of the greatest players in franchise history paired together to create a must-have card, all #’d/ to 25 or less!